I was in a rush today and thought by having a burger, it would take less time. Alas, I forgot that this ain't no McD's and they actually cook the burgers to order. Well, it makes for a better burger right? I decided to go for the daily special which was the V-Mini with fries and a soft drink. 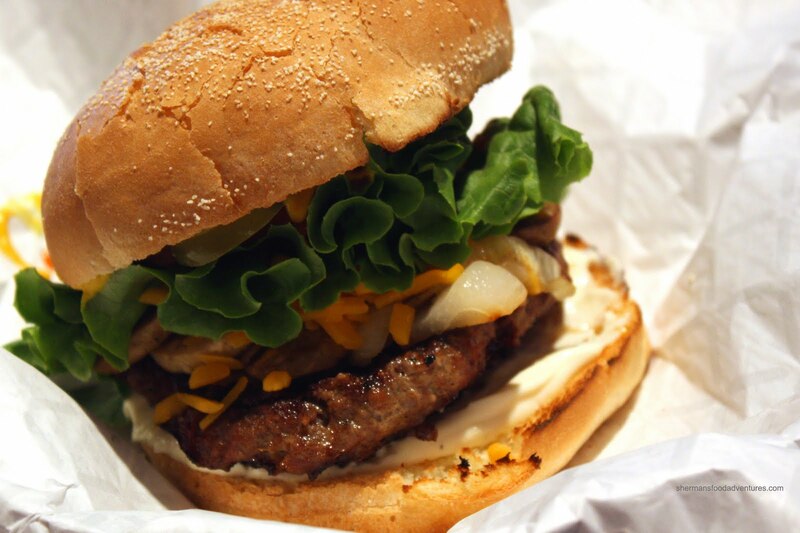 Don't let the name fool you, it's still a pretty big burger with a single fresh patty, cheddar, fried onions and mushrooms. I haven't had a Vera's burger in awhile and I gotta admit it was pretty darn good. This time around, the patty was quite moist with nice charring and the copious amounts of toppings made it a slightly messy eat. I got plenty of beef flavour while not running into too much grease. The bun was nicely toasted and the darn thing really filled me up. 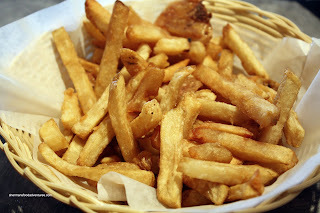 The side of fresh cut Fries came prepared exactly how I like them - crispy while not being "crisps". Not oily from the exterior and still some potato-ness on the inside, I ate every last piece. Feeling a bit guilty after this meal, but I gotta admit it hit the spot. 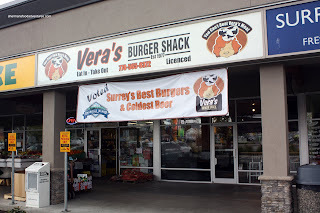 Once again, Vera's is not my favourite burger; yet it is certainly better than average. if you sign up your email, you'll get a $10 voucher valid for a week on your birthday, you could even print it out and use it at different locations.